With Valentine's Day almost upon us you may still be looking to find a last minute gift for your loved one? 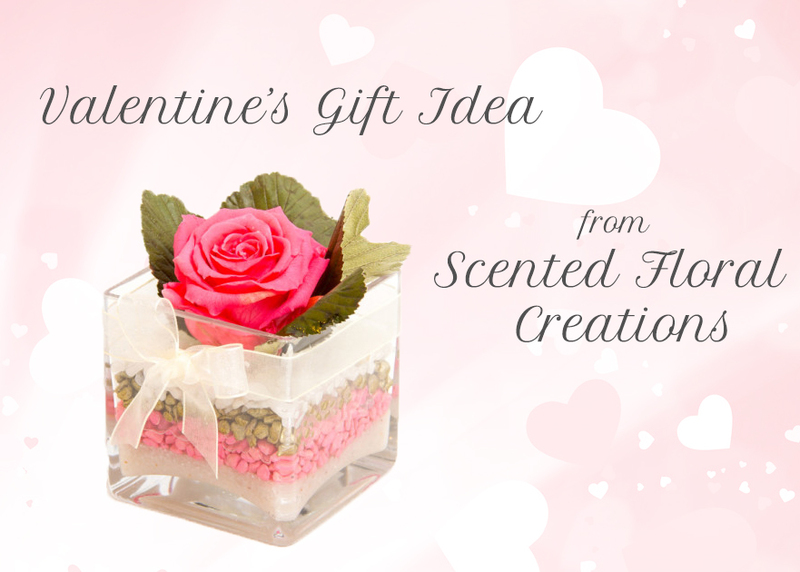 Well how about this beautiful and unique offering from Scented Floral Creations? Instead of the standard and frankly a little boring bunch of a dozen red roses, why not give this Glass Cube with Preserved Rose* as a gift to brighten up their home or even their office? 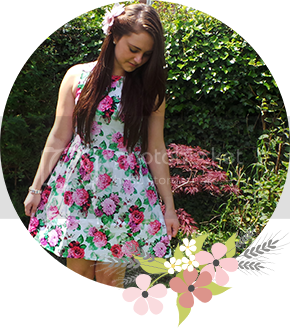 There are a variety of four colours, I chose Pink to be different, but there are also Red, Yellow and Purple! 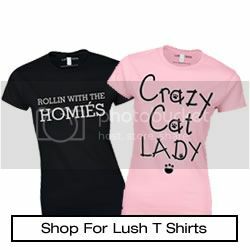 Not only are they are great gift for your Valentine, but maybe as a Mothers Day Gift too - which isn't too far away! 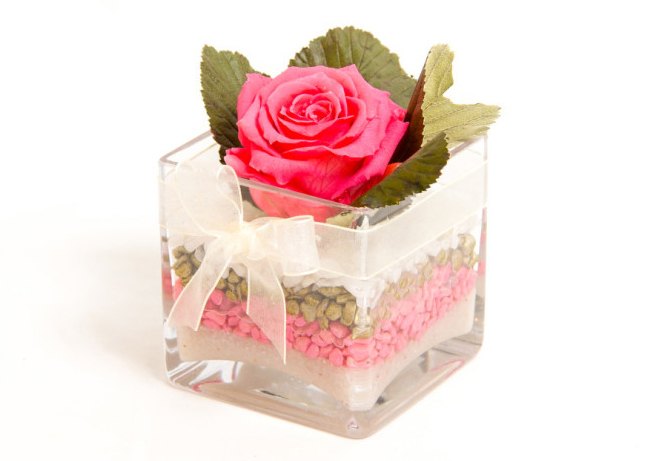 The product consists of the Rose and Alisier leaves, presented in a cube shaped glass vase, which is filled with layers of coloured sand, stones and artificial water, which will provide all the care it needs to keep the arrangement looking lovely! The rose is scented too which adds a lovely touch. All Scented Floral Creations are lovingly handmade to order, which means no two products will ever be the same, and they are packaged very well to ensure they arrive with you, or your loved one, in perfect condition! This little beauty will be taking pride of place on my desk at work, to brighten up my day! Why not check out their range of Table Decorations (link) and find something to make your home or office look pretty. Oh wow I love the look of this. I'm trying to revamp my room a little at the moment and this would look perfect sitting on my desk. I also really like roses but they don't seem to last long. A preserved rose is a much better idea.